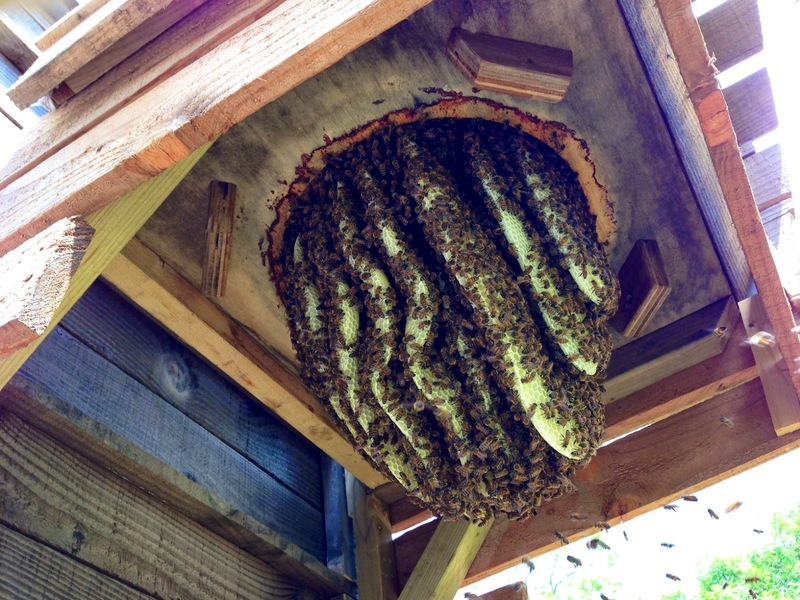 My Sun hive filled with a swarm earlier this year and the mother colony issued 4 more swarms, all of good size. All are doing well with local natural beekeepers, but the first swarm, with the 3 year old queen, is doing amazingly well as you can see from these pictures. 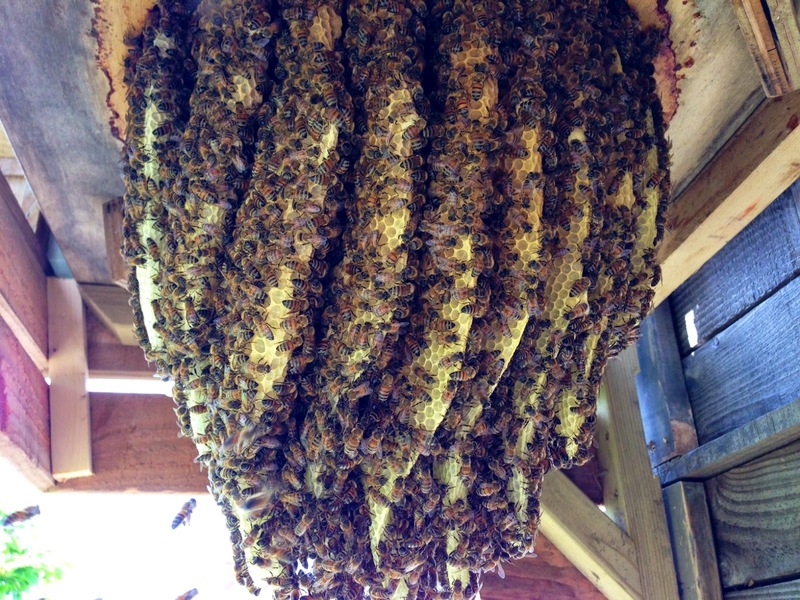 All the comb has been made by the bees in 2 months. There is plenty of room for more forage in the combs, but not enough room for the bees, so I added a skep super to the top of the hive. Watching the variety of pollen going into the hive today, I'm reminded of the bees who are trucked from one source of pollen to another and fed damaging sugar syrups laced with antibiotics. 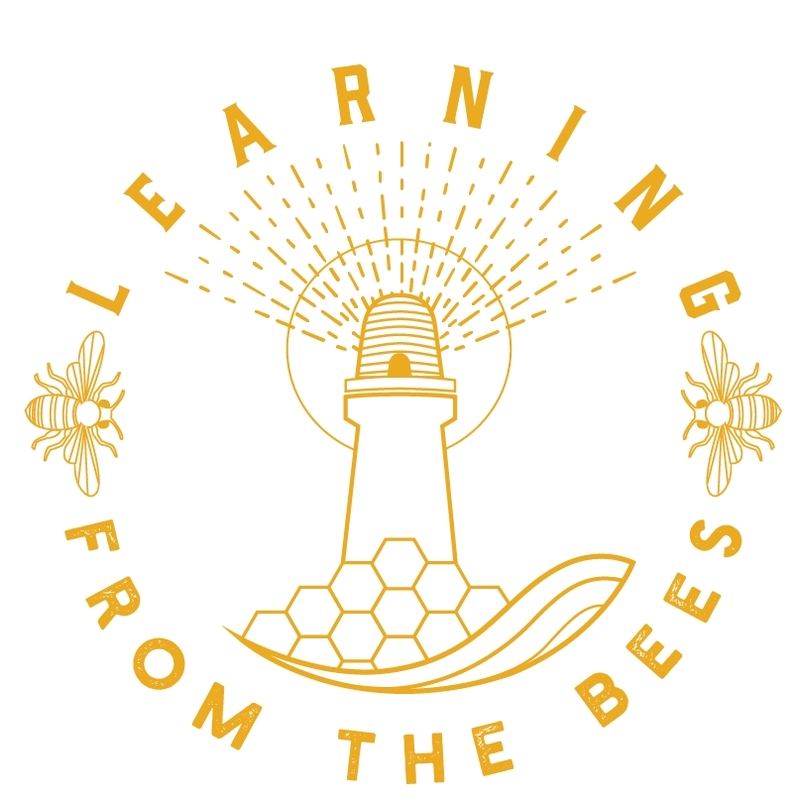 I could not imagine how a human could cope with such abuse, so the only thing I find surprising about Colony Collapse Disorder (CCD) is the surprise of the bee keepers when their bees die. Plenty of uncontaminated varied forage is the only answer to the pollinator crisis. It's worked for millions of years. 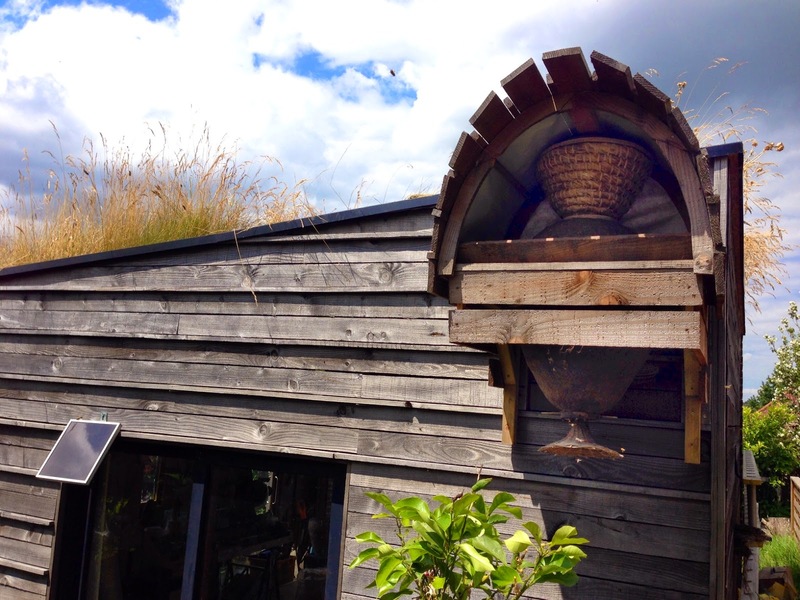 I love comb produced in a Sun hive, so natural. These treatment free bees are very peaceful and tolerant of my checking today. Lifting the based off the hive hardly caused a ripple in the hive. I don't like disturbing the bees like this, but I needed to understand why the bees were night bearding (hanging around outside the hive at night) and why they were flying strangely. Thirty minutes after supering everything was back to normal. But this powerful queen really needs a bigger home.